Yeah, you read that right. Wasted. I had such grandiose ideas about how I would get so many things accomplished. Welp, nadda. nothing. zilch. was marked off of that ever-growing "To Do" list. 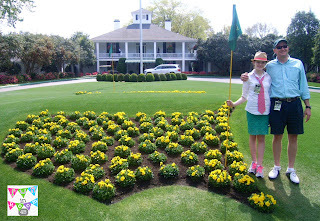 Instead, for Doodle Bugs' Five for Friday, I will show you what my family did. We have a little golf tournament in the neighboring town. You might have heard of it. It might just be on your TV right now. Or not. 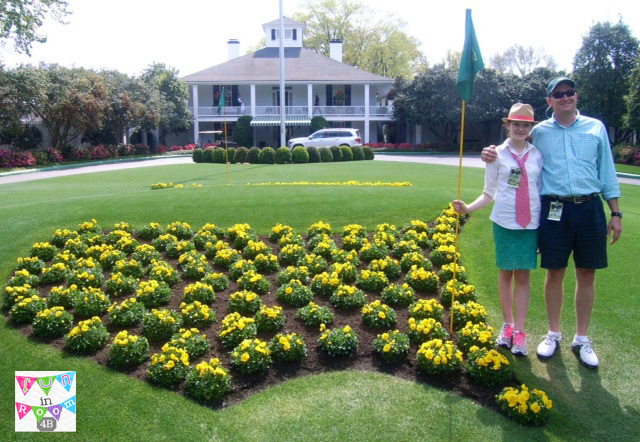 My husband, his parents, and my daughter went on Monday to the practice rounds. 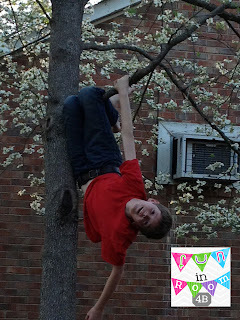 Later this week, when we were hanging out outside, my son decided to show us just how much of a monkey he truly can be. He decided to hang out in the beautiful Dogwood tree between my house and the neighbor's house. That little monkey is now sick on the sofa :( Poor baby. Now that I'm feeling a little better, I'm scrambling to get things ready for next week. I am expecting four different observations. One of those is from our local business partners and they will be video taping me. Yikes! So, I've been working on plans, laminating, cutting out and putting together Ashleigh's new Earth Day Math Centers. And, I found the cutest little video that will explain the difference between mass and weight a whole lot easier than I can. Don't you just love You Tube? Someone else can sing for my kiddos, and I can just lip-sync. Score! Do you show videos to help with Metric Measurement? I'd love to have more to add to my list. 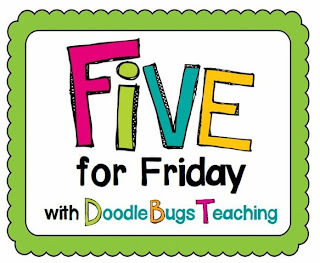 Head on over to Doodle Bugs Teaching to link up what you have been up to this week! I think I've got the Sunday night blues, on a Friday. Just down to a regular old weekend now! 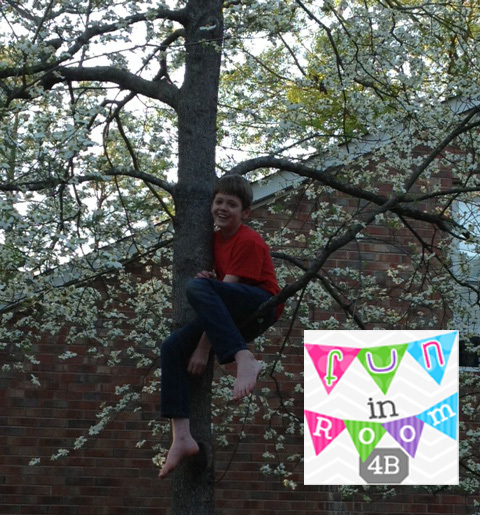 Four observations in one week - that is crazy! I hope you got to go shopping for a new outfit at least if you are going to be videotaped! So sorry to hear that you wasted your break sick. Yuck! Good luck with the observations! p.s. ok, first you are making editable units....now embedding videos??? You're going to have to give me some training!!!! Elizabeth - I'm sooo sorry you were sick in bed for most of your break. That stinks!!!! Good luck this upcoming week on those big observations. That is awesome though...they will see good teaching for sure! Sorry to hear you were so sick. Four observations is a lot! Wow! I am sure you will do great! P.S. 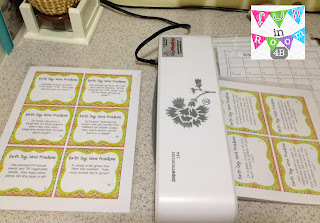 That laminator looks AWESOME! Sorry to hear you were sick! Good luck with your observations! My husband is glued to the TV for that "tournament"! Our weekend is revolving around it! haha Good luck with your observations! Best wishes on your observations! That is great that you are running for Teacher of the Year - I have my fingers crossed for you. I don't have a cool youtube video for you but I was looking up some books and found that Brian Cleary has activities for his books and there is a cute little quiz for metric and customary measurements - it might be to simple for your class but just thought you might like it. I'm glad you enjoyed your break! !